The core of our team are our Community Support and Outreach Co-ordinators who deliver our Accredited Visitor Service co-ordination, Total Mobility assessments, falls and balance prevention classes and general information. 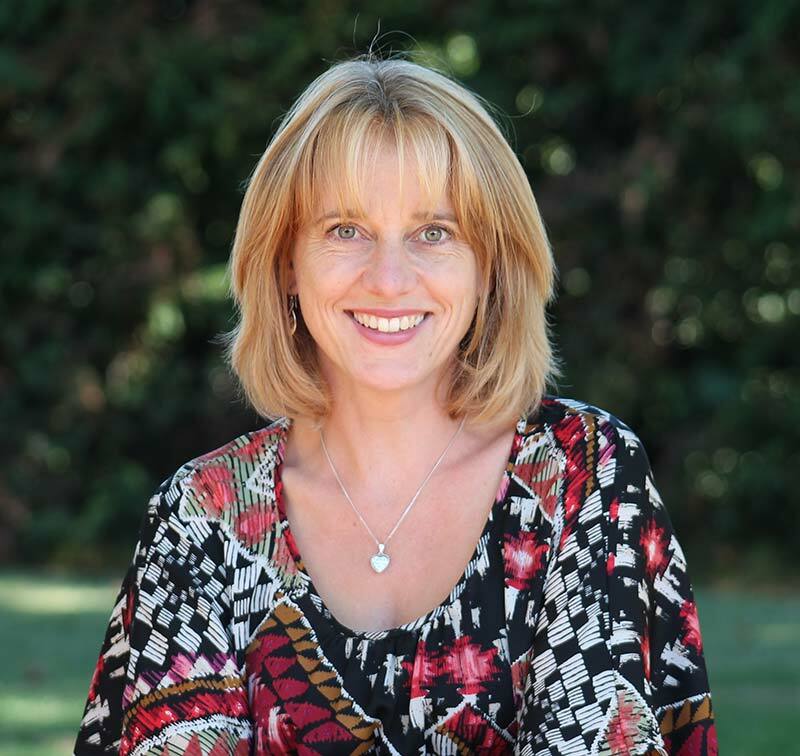 Jacqui joined Age Concern Wellington in April 2019 as our new CEO. She has extensive leadership experience in the charitable sector after spending 10 years with the Greyhound Adoption Programme Trust which she grew from inception to a successful national charity. Jacqui enjoyed all aspects of running the charity but found building relationships with volunteers and sponsors most rewarding. 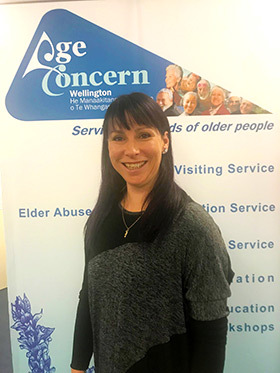 Jacqui is looking forward to growing and developing Age Concern Wellington so that it provides support and wellbeing to all our region’s seniors. She believes older people have an important role in the community and is keen to expand services to ensure they are not only safe and connected but also fulfilled and valued. Originally from the UK, she enjoys being outdoors and keeps sheep and chickens, as well as her greyhound on a two-acre lifestyle block where she can usually be found in the garden. Sheila is our Community Support and Outreach Co-ordinator for the Wellington and Porirua areas. 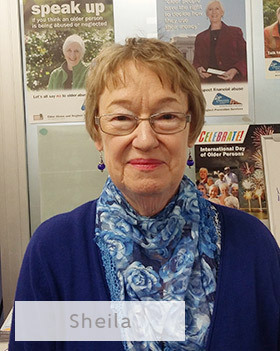 Sheila joined Age Concern over four years ago as their Elder Abuse and Neglect Prevention Co-ordinator, after over twenty years working with older people as a community worker in a social services agency. Originally a teacher from the UK, she now sees New Zealand as her home and would not consider living anywhere other than Wellington with all its cultural opportunities, not to mention the coffee. To balance her 3 days with Age Concern, her other day job is introducing her grandchildren to educational and cultural opportunities in Wellington, which fills the other 2 days very nicely. The mokopuna are becoming aware of the importance of older people in our community and the need for social justice across all ages. Ann is the Community Support and Outreach Co-ordinator based in our Wellington office and has worked at Age Concern Wellington for the past 8 years. She is the person most likely to answer your phone call – she will always give helpful advice, and if outside her area of expertise, will direct you to the appropriate person. 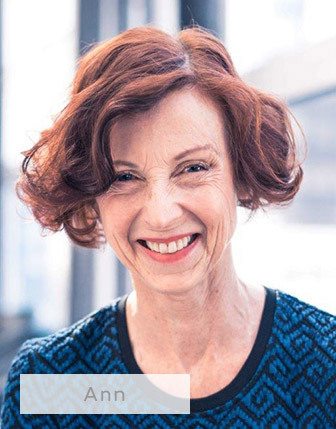 In addition to working at Age Concern, Ann is on the Board of WellElder, a Counselling Service for older people, on Community Networks Wellington – a network of social services in Wellington, and is the Consumer Council Member for Capital and Coast DHB’s Primary Clinical Group. Outside of work Ann keeps fit and healthy by exercising early every morning – swimming, gym or dancing. She is an avid reader and loves the cinema. Twice monthly she assists at Wellington Cathedral – at the early 8.00 a.m. service.